Well, here's a tech accessory that may be too good to be anything more than a concept. Showcased at Mobile World Congress (MWC 2013) in Barcelona, Spain last year, the cTablet Docking Station (cTDS) was a promising accessory for your car. It was made by a German company called Paragon. The cTDS is a tablet dock which works with 7-inch screens. The docking station consists of two parts: An electronic box which provides the hardware necessary for the dock to work. This includes radio functionality, a sound amplifier and optional GPS or Universal Mobile Telecommunications System (UMTS) modules. The second part is the dock itself which allows different 7-inch tablets (iPad Mini excluded as it is larger than 7 inches) to slide in. There are customizable dock connectors depending on the tablet you use. The device fits in your car's dashboard just like a double-DIN stereo. A customized Android UI on a Samsung Galaxy Tab 2 was used in the video below which is from MWC 2013. 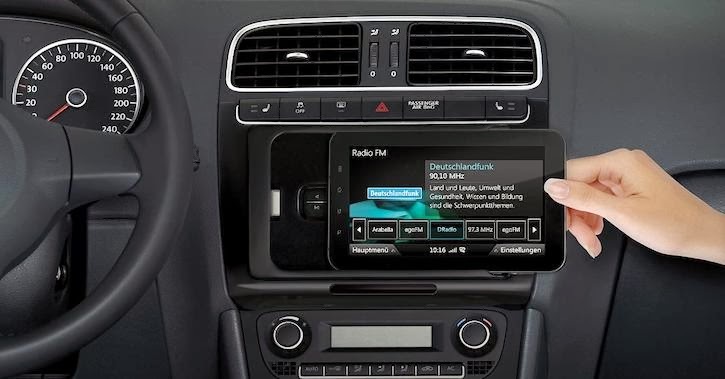 The UI displays apps and functions that are permissible for use in the car. The product was supposed to hit markets at the end of last year. But there is no trace of the cTDS so far. There is very limited information available from the manufacturer at the moment. We have emailed the company about what happened to this device and are awaiting a response. More on this soon. For now, enjoy this YouTube video from "wwwpdaclubpl". I dont know how it may concerns but i found a link from the developing Company.. they may dont give it up!